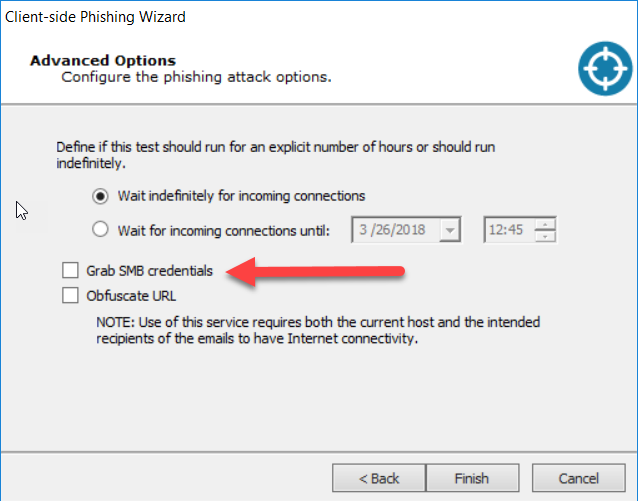 The Impacts 18.1 release last month brought a ton of streamlined enhancements and new capabilities to the client-side vector in general, and phishing in particular. To be clear on terms, I consider phishing to be inducing a target to follow a link presented in an email for the purposes of capturing credentials for some system or another. 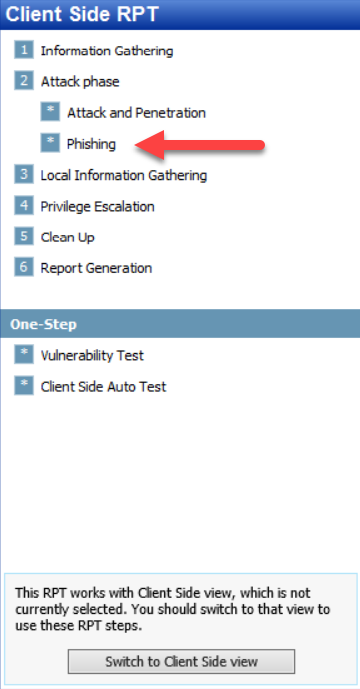 Using an email to get a user to overtly run a compromised attachment or covertly execute an exploit payload falls under the broader client-side umbrella. I want to take a few minutes to walk through some of the changes and new features in the product - if you’ll indulge me. 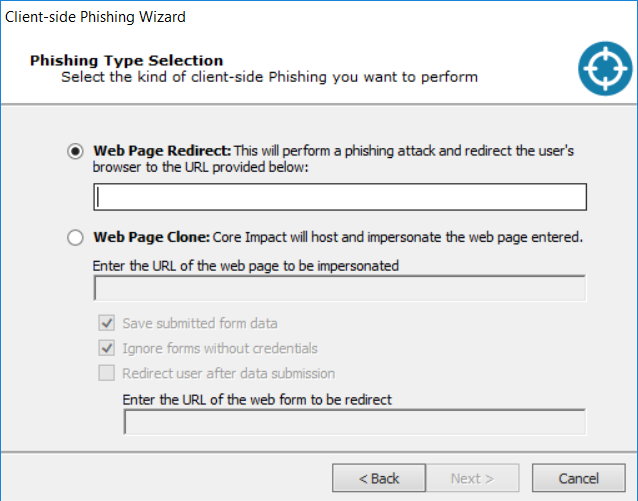 First off, I want to point out that we’ve gone and separated the Phishing Attack Phase RPT wizard from the Attack and Penetration RPT for Client Side. 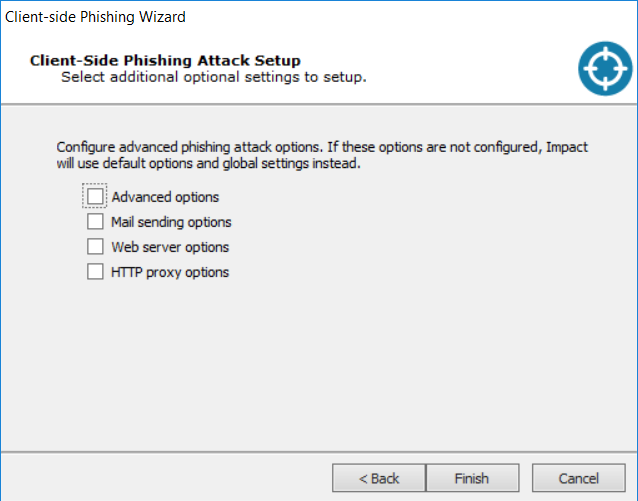 It’s a simple enough change, but when you just want to do some casual (or serious) phishing, you won’t need to wade through all the screens of the Attack and Penetration wizard to get there. 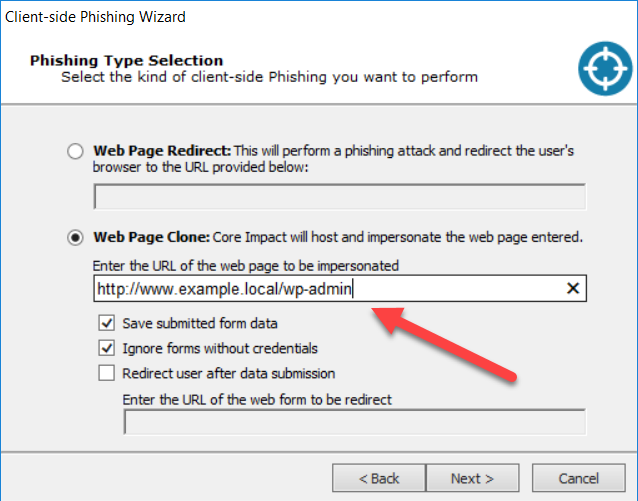 Web Page Redirect collects statistics on “Opened Email”, as well as “Clicked on Link.” This enables you to conduct no fuss, no muss assessments of susceptibility to a phishing pretext, and then direct the unlucky participants who clicked on the link to remedial training. Why would you want to do this instead of the amazing Web Page Clone? There are circumstances where you DON’T WANT to run any risk of collecting credentials from your users. This is the tool for those circumstances. Now… if you WANT to collect credentials… then you’ll want to use the Web Page Clone. The Web Page Clone will take a website reachable from the Impact workstation and perform a Man-In-The-Middle via a proxy deployed by an agent. We *can* choose to not save captured form data like login credentials. There are circumstances where we WANT to retain nothing of credentials entered, but still log that the user provided the credentials. You can also perform a redirect after capturing a credential, just like when you do a Web Page Redirect. Deeper in, you can opt to leverage a number of advanced configuration options. Be careful with this, though. 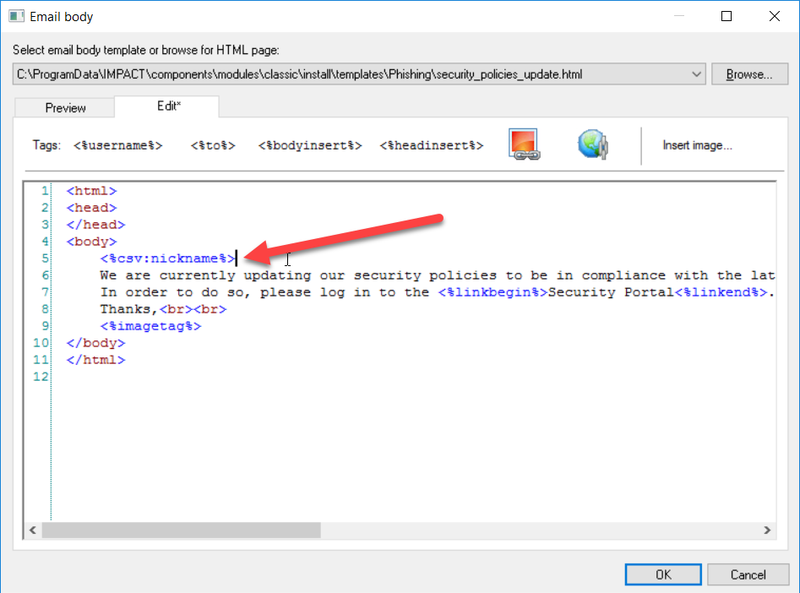 Some browsers will pop an additional authentication box to collect the credentials, rather than using the user’s NTLM creds via a challenge response. We’ve also made editing and using customized templates easier with this release. 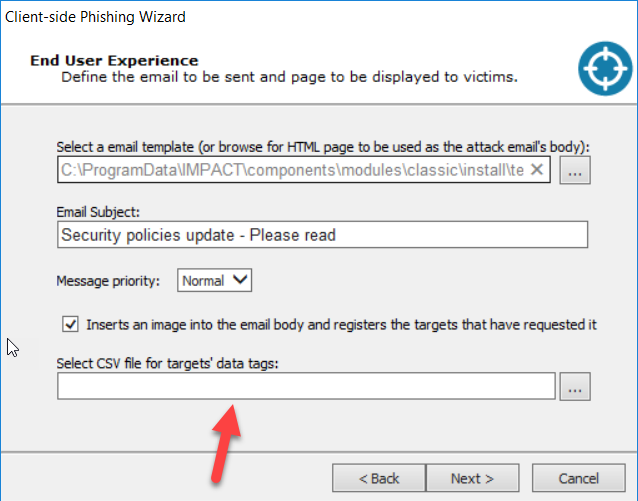 Impact can now import both HTML emails and .eml format, so you can build your phishing pretexts in an actual email editor. You might have noticed this CSV for target data tags… and wondered what it is. This new feature allows you to bring in custom data to include in the phishing emails. Just set up a spreadsheet with the field names in the first row. Make sure that “target” is the first column, and that it holds the email address. Any additional fields can fill the subsequent columns. To use the custom fields, use the <%csv:fieldname%> tag like I’ve done below. Be careful to close the tag, as the editor doesn’t validate it, and you’ll end up with <%csv:fieldname> in the phishing email if you aren’t careful. Always test your phishing pretexts first!